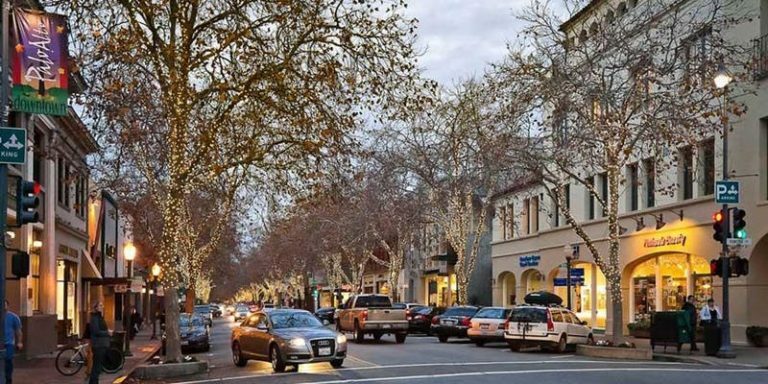 The Downtown Palo Alto Net Zero Energy (DPANZE) Initiative aimed to achieve Net Zero Energy (NZE) for at least 100 existing commercial buildings in downtown Palo Alto by year-end 2017. DPANZE is designed to be replicated across the rest of Palo Alto and far beyond. In addition to getting existing buildings to NZE through significant energy efficiency measures and local renewables, DPANZE will heavily promote fuel switching to electrify natural gas applications and accelerate the transition to Electric Vehicles (EV), away from petroleum-dependent transportation. The fuel switching efforts will maximize the contribution of renewables and energy efficiency throughout the built environment and into the transportation sector. For more information, see this presentation (PDF).